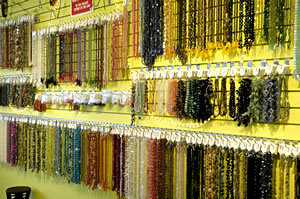 The Bead Addict’s Attic is a bead and jewelry supply store, with so much more. 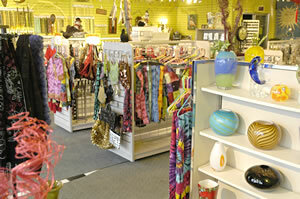 The store features a unique, cheery atmosphere, with bright welcoming colors, and a seating area for you to bead or a couch for you to relax and have a cup of coffee. You can shop for beads from around the world, find jewelry supplies and tools to help make your projects easier, and work with Precious Metal Clay, that when oven-fired becomes 99.9% pure silver! Classes are offered on beading and silver metal clay. 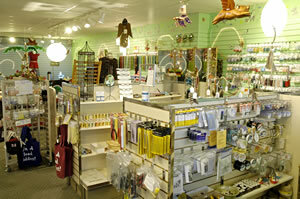 Besides beads and supplies, The Bead Addict’s Attic offers unique gifts from around the world, glassware, quartz and amethyst crystals, clothes and accessories, Sterling silver and gemstone jewelry and costume jewelry. Children are always welcome, as there is a special room where they can write on the chalk board walls or create pictures on the magnet wall. Come be bead-dazzled at the Bead Attic’s Attic and don’t be surprised when you are greeted by "Milly", the Military Macaw, on Saturday afternoons!